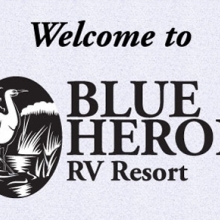 Welcome to the Blue Heron RV Resort! 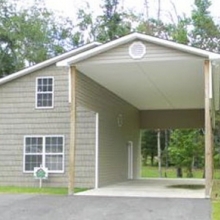 The Blue Heron is Alabama’s very first premium, deeded lot resort, designed especially for recreational vehicles. 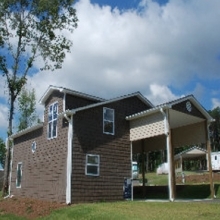 The resort is located in the Tennessee River Valley, just one mile from the lake city of Guntersville. 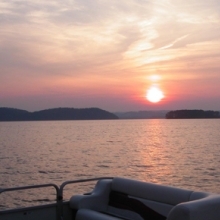 A warm and friendly community, Guntersville is nestled around a 69,000 acre lake in the foothills of the Appalachian mountains. The city provides an excellent quality of life, superior school system, thriving arts community, numerous recreational opportunities, fine restaurants, diverse shopping experiences, and more! 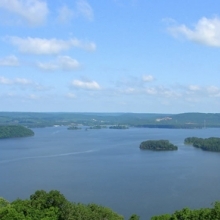 Located on the southernmost point of the Tennessee River, Guntersville is a beautiful, appealing, and affordable place to live or a scenic vacation destination. 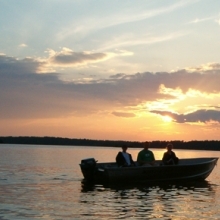 Southern Living magazine named Guntersville as “The Best Lake in Alabama.” Relocate America declared the city as one of the “100 Best Places to Live in America.” Guntersville was named one of the “Top 10 Fishing Towns in America” by Field & Stream. At the Blue Heron, you will find great amenities such as a spacious community center, swimming pool, two large bath houses, laundry facilities with washers and dryers, boat storage, playground, and three ponds — all in a park-like setting. Public lake access is only one short mile away. 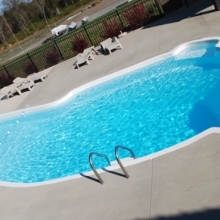 We are located only 30 minutes south of Huntsville and 90 minutes north of Birmingham. 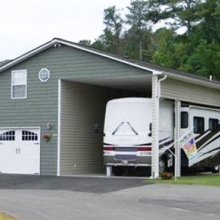 The resort is governed by covenants and restrictions and allows for custom RV port homes to be built. Our 96 lots range in size from 2400 to 4000 sq. ft. Landscaped and irrigated lots include a standard 15 x 40 ft. parking pad and a 12 x 30 ft. patio pad, with RV port options available. 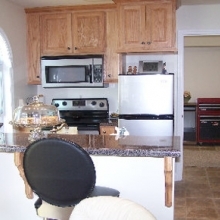 We also have 50 amp electricity hook-ups and sanitary sewer. (Note: Blue Heron does not pay for electric service.) All roads within the resort are paved, with storm run-off drains. Eight individuals like it so much that they have made Blue Heron their year-round home! Blue Heron is open all year long! Call today to learn more and inquire about our rates.